November is a big month in the world of biography! The reason? 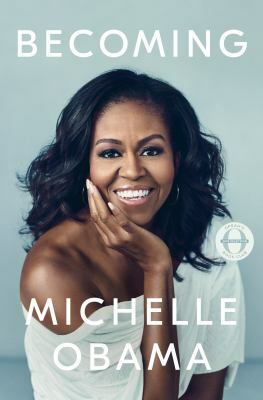 It’s the launch of Michelle Obama’s highly anticipated memoir, Becoming. Becoming covers everything from childhood to work to politics–as well as more recent goings-on at the White House. And while Obama is currently on a stadium-sized book tour in the US, you can get a sneak preview of your own by checking out a sample chapter in the Guardian (and don’t forget to have a browse of our other great new biographies, too!). Previous Post All things Home, Garden and D.I.Y. Next Post Fantasy with wings: Recently published Dragon reads!